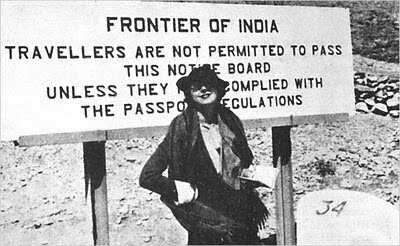 Rosita Forbes on the Khyber Pass in 1936, in "From the Sahara to Samarkand." Rosita Forbes was born in 1893 and later married a soldier with whom she travelled to India, China, Australia and South Africa. Forbes had the gift of the genuine traveller: she lived and mixed with the locals, frequenting bazaars and making friends with the Arabs, Afghans, Indians, Tadjiks, Usbegs and Kazaks. After a visit to England and estrangement from her husband, Forbes independently travelled to Morocco and then went to Abyssinia where she made a travel film entitled From Red Sea to Blue Nile. Later she visited Persia alone and in 1930 travelled through Syria, Palestine, Iraq and Transjordania and Afghanistan. The latter had been invaded many times.Alexander the Great had marched his Greeks through her mountains. Genghis Khan and his hordes had cantered through her streets. More recently the mighty British Raj had flown warplanes over the isolated hermit kingdom. Yet none of these military men ever disarmed the Afghans as effortlessly as Rosita Forbes. Forbes was justly famous for her travels in perilous portions of the world. In fact the intrepid Englishwoman had been making a habit of visiting remote, and absurdly dangerous, places for years. 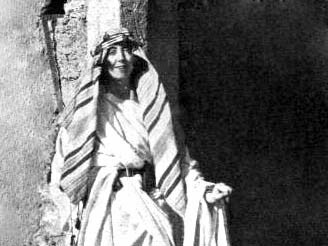 During the 1920s she rode a camel across the Libyan deserts in search of a lost city, ventured to dozens of other forbidden places and wrote a long list of bestsellers. A lot of people seem to get scared when they hear i am a female traveling alone to the Middle East. Thank you Rosita for paving the way, so to speak, and being such a generally awesome badass rad lady.